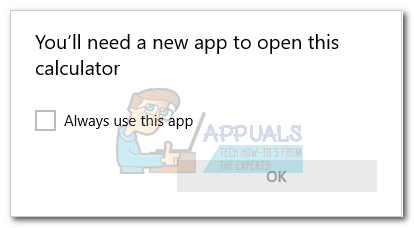 Some users have been reporting getting the “You’ll need a new app to open this calculator” error when trying to open the built-in Windows calculator on Windows 10. Typically, when this issue is encountered, the same error is displayed when users try to open the Windows Store. 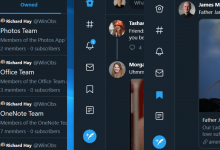 As it turns out, the apparition of this issue seems to surface when users upgrade from an older Windows version to Windows 10, or when they install the Creators Update. Although we are not certain on the technicalities behind this issue, it seems like certain updates might corrupt important Microsoft Store files when a number of files get overwritten. If you’re currently struggling with this issue, troubleshoot the problem away with the collection of methods below. 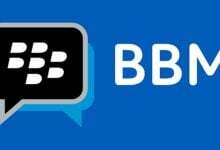 All the methods featured below are confirmed by users to resolve the issue. Please follow each potential fix in order until you find a solution that works in your situation. Let’s begin! Before you do anything else, let’s see if Windows is capable of repairing the issue on itself. 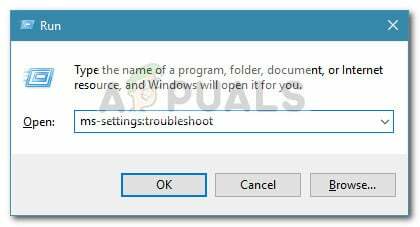 Because the issue is related to a corrupted data file and Windows 10 is equipped to deal with these kinds of problems, running the Windows 10 Store App Troubleshooter might just identify and fix the issue automatically. Press Windows key + R to open up a Run box. Then, type “ms-settings:troubleshoot” and hit Enter to open the Troubleshooter tab of the Settings app. 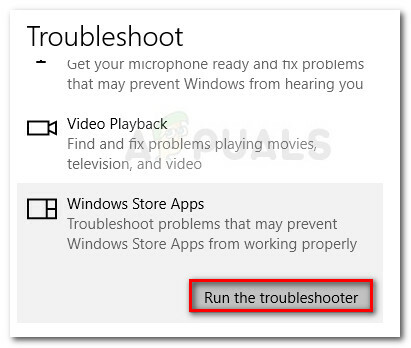 In the Troubleshoot tab, scroll down to Find and fix other problems, then click on Windows Store Apps and then click on Run the troubleshooter. Wait until the initial scan is complete. If the Store Windows Store App troubleshooter manages to identify a problem, click on the Fix It button is available or follow the on-screen prompts to resolve the issue. Restart your computer and see if the issue has been resolved and you’re able to use your Calculator app. If you’re still unable to use the Calculator app, move down to the next method below. Press Windows key + R to open up a Run box. Then, type “wsreset.exe” and press Enter. When the black Command Prompt window opens, do not close it and wait for it to close automatically. Once the Windows Store is reset, reboot your computer and see if the issue has been resolved at the next startup. If you’re still unable to use your Calculator app, move down to the next method below. Corrupted system files might also be causing this particular issue, so let’s deploy some built-in utilities to make sure we eliminate any trace of corruption. Press Windows key + R to open up a Run box. Then, type “cmd“, press Ctrl + Shift + Enter and click on Yes at the UAC (User Account Control) prompt to open an elevated Command Prompt. Once the process is complete, reboot your machine and see if you’re able to open the Calculator app. If you’re bothered by the same problem, continue down with the next steps below. 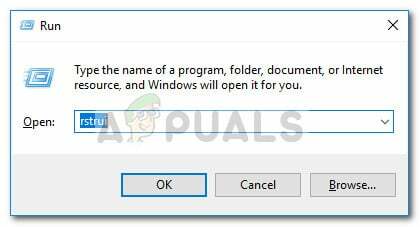 Press Windows key + R to open up a Run dialog box. 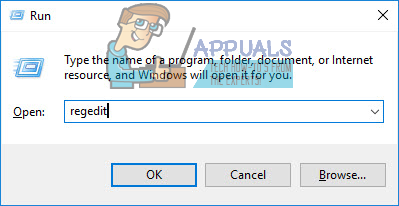 Then, type “cmd“, press Ctrl + Shift + Enter, click Yes at the UAC (User Account Control) prompt to open an elevated Command Prompt window. Once the process is complete, restart your machine and see if you are able to open the Calculator app at the next startup. If the issue is still not resolved, continue down with the next method below. 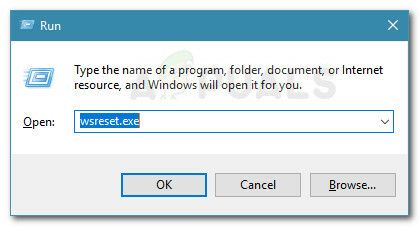 Press Windows key + R to open up a Run dialog box. Next, type “regedit“, hit Enter and click Yes at the UAC (User Account Control) prompt to open Registry Editor. Right-click on [UserSid] and choose Delete to remove the key from the registry. Close Registry Editor, reboot your machine and see if the problem has been resolved at the next startup. If you’re still unable to open the Calculator app, continue down to the next method below. Some users have managed to repair the Calculator app by uninstalling and then installing an updated version of the ATK Package. Some users went even further as to clear any traces of the old ATK Package with a powerful uninstaller (like Revo or IoBit). However, most users have reported this step as unnecessary. Press Windows key + R to open up a Run dialog box. 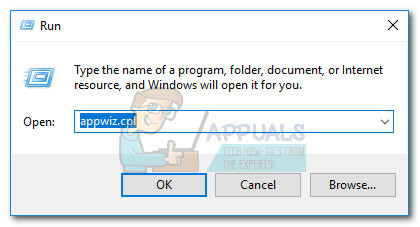 Then, type “appwiz.cpl” and hit Enter to open the Programs and Features window. In Programs and Features, scroll down, right-click on ATK Package and choose Uninstall. Then, follow the on-screen prompts to remove the software from your system. Note: Optionally, you can use Revo Uninstaller another similar powerful uninstaller to remove any trace of the ATK Package. Visit this link (here) and download the latest version of the ATK Package. 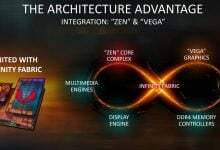 Install the new drivers and restart your computer. See if the issue has been resolved at the next startup. If you’re still encountering the same issue, continue with the next method below. Let’s start by trying to re-register the built-in Calculator using an elevated Windows PowerShell. 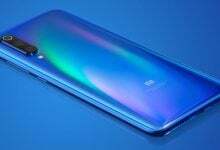 This trick is confirmed to work for a lot of users, and it has the advantage of fixing the issue without reinstalling the Calculator app – this means you won’t lose any user preferences or custom presets. 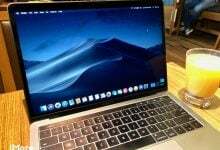 The only downside is that the entire process will take quite a while to complete, as the whole suite of Windows built-in app will be re-registered. Click the Start bar in the bottom left corner and search for “cmd“. 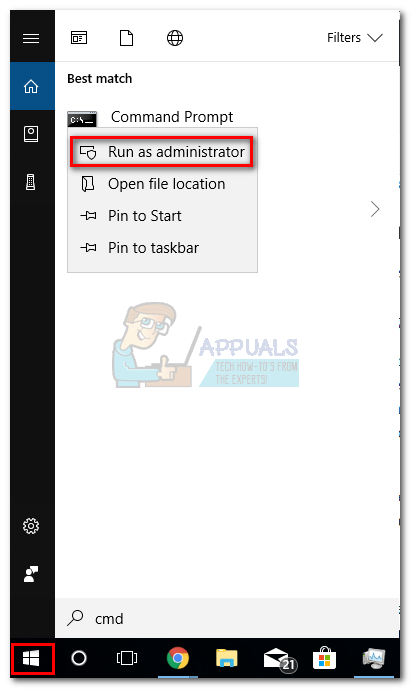 Then, right-click on Command Prompt and select Run as administrator to open an elevated Command Prompt. 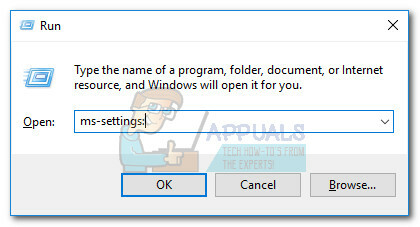 Note: This step is very important, as opening a regular Command Prompt will not have enough access permissions to run the required commands. In the elevated Command Prompt, type “powershell” and hit Enter to switch to an elevated Powershell window. Note: You might have to re-run this command several times if it gets stuck for a long time. If you see that it get’s bogged down somewhere, simply re-paste the command and hit Enter again. Wait patiently until the process is complete. Windows will now reinitialize each Microsoft built-in app, so expect it to take over 10 minutes. Once the process is complete, reboot your system and see if the issue was resolved at the next startup. If you still can’t access the built-in Calculator, move to the method below. While this method is not exactly elegant, users have confirmed that it’s effective. It involves deleting the locally cached data of Calculator (and Windows Store if needed). 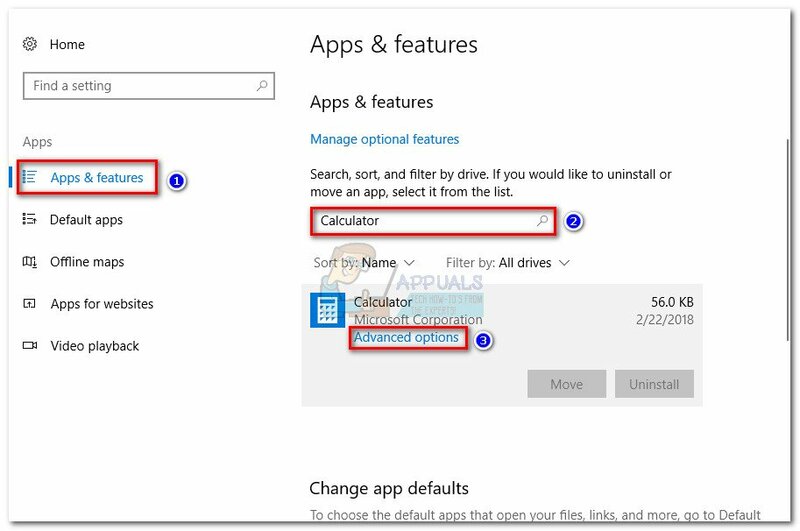 As mentioned above, the Calculator issue is linked to Windows Store, so the same solution can be applied successfully if the Windows Store is refusing to open. 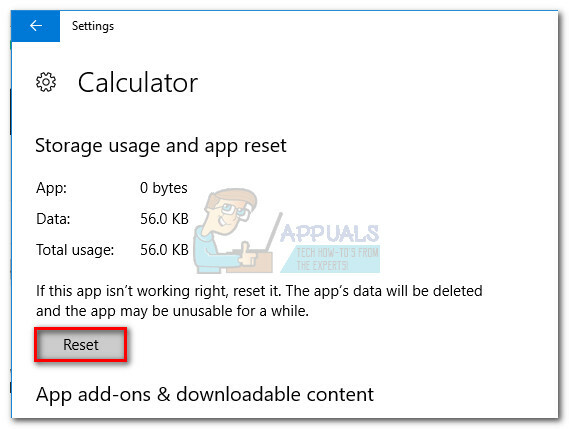 Luckily, this will not remove any user preferences of Calculator or the log-in information regarding Windows Store. If you’re receiving the same error issue while opening the Windows store, delete the contents of the LocalCache folder for both. Navigate to C: (OS drive) > Users > *Your username* > App Data > Local > Packages > Microsoft.Calculator_8wekyb3d8bbwe > LocalCache. 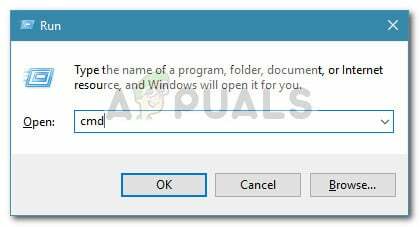 Note: If you aren’t able to find the AppData folder after accessing your user folder, it’s because it’s configured to be hidden by default. To enable hidden items, access the View tab in the top ribbon of File Explorer and check the box next to Hidden items. Delete all contents of the LocalCache folder (files and folders included). Note: If you only had problems with the built-in Calculator, the steps above should be enough. 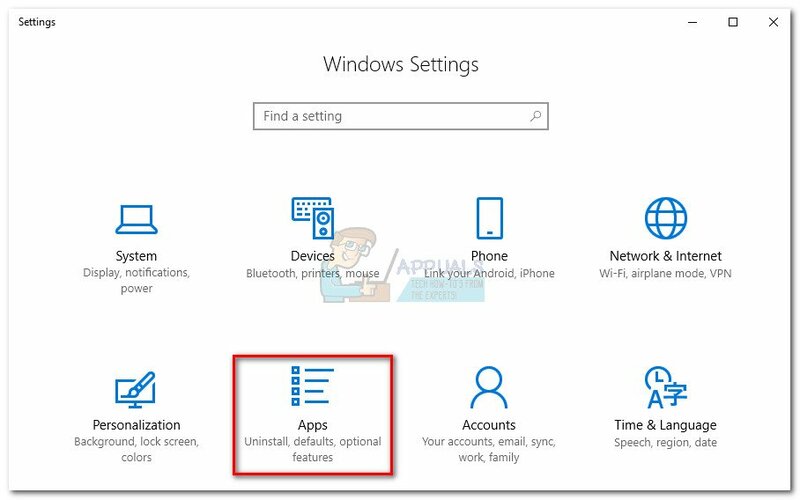 If you also have trouble accessing the Windows Store, continue with the steps below to repeat the same procedure on the LocalCache folder of Windows Store. Navigate to C: (OS drive) > Users > *Your username* > App Data > Local > Packages > Microsoft.WindowsStore_8wekyb3d8bbwe > LocalCache. 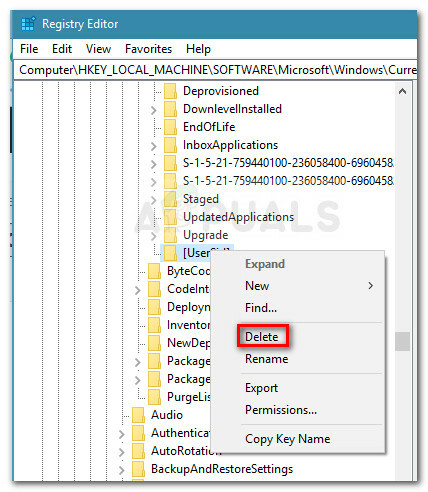 Delete the contents of the LocalCache folder (all files and folders). Reboot and see if the issue has been resolved. If you’re still struggling with the same issue, move over to the final method. If the first two solutions were not effective, let’s continue by trying to reset the built-in Calculator. This particular method was confirmed to work with a lot of users, but keep in mind that you will lose any data associated with the Calculator – this includes any contents present in the History tab as well as any custom preferences that you might have previously set. Press Windows key + R to open a Run window, type “ms-settings:” and hit Enter to open the Settings menu. In the Windows Settings menu, click on Apps. Select Apps & Features from the left-hand menu, then search for “Calculator” in the search box above the list of installed apps. Then, click on Calculator to expand it and select Advanced options. 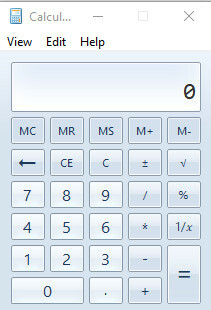 In the Advanced menu of Calculator, simply click the Reset button and wait for the app to be reinitiated. Once the reset process is complete, reboot your system and see whether you managed to resolve the issue. If all the above methods don’t work, you can try to create a new user account and see if the calculator works. 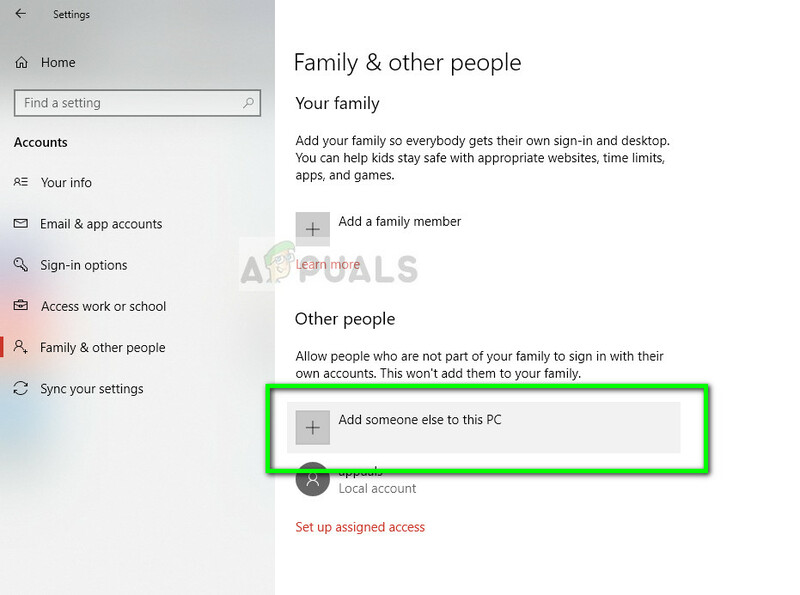 There are numerous cases where the current user account may have discrepancies in the user settings. Since each user setting is closely tied with the system utilities, this might be the reason why the calculator is presenting an error message. You can read our article on How to Create a New User Account and Transfer all the Data to it. Make sure that you first create an account and check if the Calculator is working. If it is, you can safely transfer all the data to the new account and delete the old one. If you’re still unable to use your Calculator app, there’s one more thing that you can try before having to go through a reset or repair install. 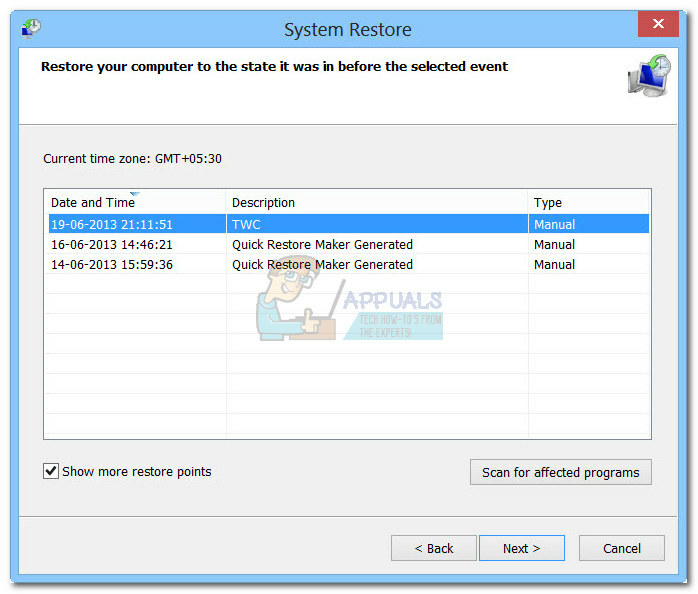 Some users have managed to resolve the issue by restoring their machine state to a previous point in time using System Restore. Press Windows key + R to open up a Run dialog box. Then, type “rstrui” and hit Enter to open the System Restore wizard. In the first System Restore window, click Next, then check the box associated with Show more restore points. Next, pick a restore point that is dated before you started experiencing problems with your Calculator app and hit the Next button again. Finally, click on Finish to begin the restoring process. Your computer will restart shortly and the old state will be mounted at the next startup. If the issue is still not resolved, you can probably assume that your system is suffering from some underlying corruption problems. There are several ways to go about this issue, but we recommend performing a Repair Install of Windows 10. For more information about this procedure, follow our in-depth article (repair install windows 10). If no solutions work in your case, instead of installing new Windows, you can download third-party calculators which will effectively work like any other calculator application in your computer. One of these third-party calculators is Old Calculator. This is the older version of Windows Calculator which was present in Windows 8 and 7 and contains all the necessary functions and layout which are there in the newer version. Note: Appuals is not in any way affiliated with any third-party software. The links in this article are solely for the information of the reader and he should download it at his own risk. What is a Subnet Calculator and How to Use It?